Do you efile? If you do then you already know about many of the advantages that efiling has over the “traditional” paper method of filing a tax return. If not, maybe you don’t know about the benefits of electronically filing your tax return. Maybe you’re like a friend of mine who refused to get a cell phone until it became all but a necessity to get by in the modern world. Don’t get left behind — efiling is the future. So, let’s go over the many reasons why you should probably scrap the paper forms and power up the computer when it’s time to do your taxes. To quote the title of an IRS publication: “Isn’t it time you e-filed?” In 2009, over two thirds of taxpayers efiled their 2008 tax returns. To be precise, 67.18% of individual tax returns received by the IRS in 2009 were filed electronically. More and more people realize the benefits and efile every year, and the IRS has set a goal of 80% efiled returns by 2014. There is little doubt that in a perfect world the IRS would like to have 100% of tax returns efiled. Efiling makes the whole tax process easier for them and easier for you. You don’t even have to pay someone else to do your taxes. You can purchase tax software on your own, or go to one of the many easy-to-use websites that are licensed by the IRS to process efile returns (such as www.efile.com) and do it all online. There may be a modest fee, but many taxpayers will qualify for free processing. In most states, you can even go ahead and do your state taxes at the same time. The actual process of filling out your return is simple. Instead of poring over lines of instructions and pages of forms, you will only have to answer a series of questions. Then the efile software will choose the appropriate forms and fill them out for you. The only way it could be easier is if the software read your mind. 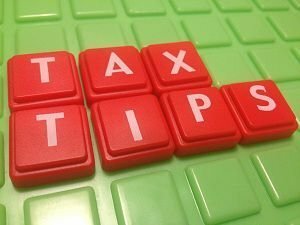 Since a computer is processing your tax return, it can find mathematical errors easily and efficiently, before your return is even submitted to the IRS. When the IRS receives a paper return, an employee must enter your written data into the computer system, which introduces the possibility of human error. Electronic filing greatly reduces the chances of a mistake or a math error getting through, which means less chance of your return being rejected by the IRS. This means, of course, getting your refund check sooner (which you should, of course, request to have directly deposited into your bank account). Do you want your refund check in half the normal time? Then file electronically. Do you want your money within about 10 days of filing your return? Then efile and sign up to have your refund deposited directly in your account. It takes time for humans to go through handwritten forms and enter the data into computers. Why not help speed up the process and efile? Sometimes things get lost in the mail, and your tax return is full of the kind of information you don’t want falling into the hands of identity thieves. Another reason to efile your tax return is to protect your personal information. The IRS guarantees the privacy and security of your information when you file electronically. You can submit your tax return online and avoid standing in long lines at the post office, hoping and praying that your return will be accepted, and nervously awaiting a return receipt (if you remembered to request one). After you submit your electronic tax return and it is accepted by the IRS, you will receive notification within 48 hours. Once you have proof of acceptance, you can relax and smile — your taxes are done for the year! Be sure to pass on the word that efiling is easy, fast, safe… and the future. And the future is here! Carl Forbes is an employee of Efile. eFile is a team of tax professionals and tax software vendors that provide an online platform to efile federal income taxes and state taxes online. You should tell people that you are planning on sharing the info they provide on their tax returns with other people / third parties, because I don’t think a lot of people would continue to use your service if they were aware that you’d be offing their info to third parties. I don’t efile because there is a fee. Also, I have this HP48 calculator, so I can check the math. If the IRS makes a problem copying my numbers over that is really their problem, not many. What I am looking forward is not the day where everybody efils but the day where the tax code is sufficiently simplified so that only a postcard is needed. The IRS audit rumors never seem to end. There is no known evidence that the paper return versus efile return audits are any different. I hope this helps you. Good luck. I’ve read that the IRS can only audit electronic returns, and that only something like 1/3 of paper returns are scanned. Therefore your chances of an audit are lower if you paper file.